After missing the playoffs for the second straight year in a row the New York Yankees are looking to make their way back into the postseason. After missing the playoffs last season, it was the first time they have missed the playoffs in two consecutive seasons since the 1992 and 1993 seasons. second straight season in a row. As the 2015 season approaches, the Yankees will be on the field without their core four players on the field. Andy Pettitte, Jorge Posada, Mariano Rivera, and the captain last season Derek Jeter hung up his cleats for the final time last season. During the offseason the Yankees did some shopping, they went out and got 25 year old Shortstop Didi Gregorius from the Arizona Diamondbacks. Gregorius is considered an elite defender, but struggles offensively. According to usatoday.com, he batted .226 in 80 overall games. Yankees General Manager Brian Cashman says “ He’s a young athletic shortstop and his defense is very good.” He also says “ He’s struggled against left-handed pitching and we believe he hits right-handed pitching well, so I think at the very least, we open up 2015 with him in a platoon with Brendan Ryan until he separates himself.” Former Diamondbacks general manager Kevin Towers said Gregorious drew comparison to Jeter. “ When I saw him he reminded me of a young Derek Jeter,” says Towers. The Yankees then went out and signed left handed reliever Andrew Miller. According to the westchester journal news reports, manager Joe Girardi has announced that he will turn to Miller in the ninth inning if multiple lefties are due up. Last season Miller played for both the Baltimore Orioles and the Boston Red Sox. With his time with the Red Sox he posted a record of (3-5) with an era of 2.34. When he was traded to Baltimore he posted a record of (2-0) with an era of 1.35. Another player who the Yankees went out and signed during the offseason was Garett Jones. Last season with Miami Jones batted .246 with 15 home runs. Singing Jones came to a great advantage to the Yankees. Jones hits great off of left handed pitching. In the past he has hit more than 20 home runs, off of left handed pitching. 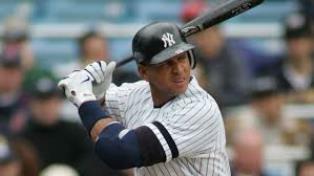 The main player who everyone is going to have their eye out this season is Alex Rodriguez. Rodriguez missed all of the 2014 season due to a season long suspension due to PED usage. There have been many rumors on where Girardi will play A-Rod. He will be playing a combination of both first base, and as a designated hitter. A-Rod batted .286, and hit a total of 8 home runs. The Yankees have announced that they will start Masahiro Tanaka on opening day. Masahiro hasn’t pitched in a regular season game since August 4th, 2014. Tanaka posted a record of (1-2) with an era of 3.07. He had 13 strikeouts and pitched 14.2 innings. According to Newsday.com Tanaka said “ My fastball has fallen, and it’s not getting up.” He also said “ I’m going to try and establish a certain pitching style this year, so it’s not the wisest to ask for velocity from me this year.” He will pitch opening day on Monday against the Toronto Blue Jays with a small tear in the ulnar collateral ligament in his right elbow. In his final exhibition game on Tuesday, Tanaka’s fastball was clocked from 89-91 miles per hour with a high of 92. Another player who was looking to bounce back from injury, is left hander C.C. Sabathia. Last season Sabathia’s season was finished in early July due to a knee injury. The time he was on the mound he posted a record of (3-4), with an era of 5.28, in 46 innings pitched. Last season was a disappointing season for a lot of newly acquired players. The first player who is looking to bounce back is outfielder Carlos Beltran. Last season Beltran batted .233 with 15 home runs. During the offseason Beltran underwent elbow surgery, there will be a lot of question marks if Beltran will be the same player who the Yankees are going to get what they expected from him. The next player who is due for a bounce back season is catcher Brian McCann. He batted .232, with 23 home runs. Yankees right handed pitcher Michael Pineda, is looking to bounce back from shoulder surgery. Having a shoulder surgery is a big concern for a manager, pitching coach and for any pitcher. He had a very impressive spring training. He finished spring training with a (3-0) record with a 1.42 era. He had a 23/1 strikeout to walk ratio. Yankee right hander Ivan Nova, is bouncing back from Tommy John surgery. Nova is going to start the season on the 15 day disabled list. According to rotoworld.com, Nova has been throwing bullpen sessions. The Yankees are expecting him back by late May through June is probably a more likely window. Yankee first baseman Mark Teixeira is an injury prone candidate. He is coming off three consecutive seasons where he has had injuries. He has missed a total of 225 games because of injury. During the offseason Teixeira started a new diet so he can stay healthy for the entire season. According to ESPN New York, he started a gluten free, sugar free, and dairy free diet. There are a lot of players who’ve seasons have been washed out due to injuries and are due for a turnaround season. The New York Yankees are going to open up the season on a six game home stand, starting off against American league East rival Toronto Blue Jays, followed by the Boston Red Sox; before hitting the road and taking on the Baltimore Orioles and the Tampa Bay Rays.